In a recent driver’s license restoration article, I highlighted the importance of my “prep session” with my client immediately prior to his or her actual license appeal hearing. It is critical to the success of any license restoration appeal that the client walk into the hearing fully aware of the questions I’ll be asking, and the questions the particular hearing officer deciding the case will pose, as well. Yet being “prepped” for the hearing is really just another step in the proper handling of a case from the get-go. No matter how you cut it, preparation is key to winning a license appeal in Michigan, and that preparation starts the very moment the client walks into my office to begin the license restoration process. Of course, you must be legally eligible to file a license appeal. You must also be genuinely sober to win it. Sobriety is a non-negotiable requirement in a license restoration case, because the 2 main issues to be decided at the Secretary of State’s Administrative Hearing Section (AHS and formerly the DAAD), by what is legally defined as “clear and convincing evidence,” is that first, your alcohol problem (the law presumes that you have an alcohol problem when you rack up 2 DUI’s within 7 years, or 3 or more within 10 years) is “under control,” and, second (and even more important), that it is “likely to remain under control,” meaning that you are a safe bet to never drink again. This is the starting point: Unless you are both legally eligible and genuinely sober, you can’t even get off the starting block with a Michigan driver’s license reinstatement case. It all begins with a 3-hour meeting in my office. Before anything is filed, or any steps are taken, the client and I will have an initial meeting for at least 3 hours so that I can prepare him or her to undergo and have a substance abuse evaluation completed. The substance abuse evaluation is an official state form, and must be completed and filed, along with at least 3 letters of support, along with various other documents, to formally begin a license appeal. This first meeting is essential, and I’m not kidding about the 3 hours. In fact, I won’t schedule a meeting with someone if I don’t have at least a 3-hour block of time to meet with him or her. The point of this meeting, as I noted, is to prepare the client for the substance abuse evaluation. This evaluation is, in a very real way, the foundation of a license appeal case. If it is not perfect, or very close to it, the appeal will be denied. There is way more going on in this first meeting than just “prepping” for that substance abuse evaluation, however. The week I wrote this very article, I was hired by a young man who had filed and lost a previous license appeal using another lawyer. He had a couple of years’ sobriety, but he had only been off of probation for a few months at the time his prior appeal had been filed. It was clear from the hearing officer’s order denying his appeal that he didn’t have enough “voluntary” abstinence time, meaning that the hearing officer felt that he hadn’t proven himself truly voluntarily sober because his first 2 years of abstinence were accumulated while he was on probation, subject to testing, and, even more important, subject to punishment for drinking. I would have never filed his case when the other lawyer did, and would have had him wait at least another 6 months thereafter, but the other lawyer took his money, took his chances and lost. That would never have happened with me, guaranteed. 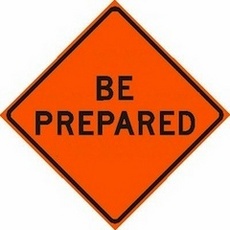 Part and parcel, then, of “preparation” means getting to know a client, getting to know how he or she came to the point of recovery, and then thinking about all of that and deciding how to proceed. If that young man would have called my office a year before, we’d have told him to wait another 6 months before coming in to see me. When a client comes to me and explains that he or she is truly sober, but didn’t get there through AA, and instead just decided that a life change was needed, then “preparation” means helping the person explain this transformation in a way that will be satisfactory to the DAAD (as noted, now the AHS) and reflects, at its core, that he or she has truly internalized the idea of never picking up another drink again, ever. We must remember that for all the success I have had at license appeals, and even though I guarantee that I will win any case I take, this is not about me; this is about you, the client. I don’t come to the license restoration table with any misconceptions or worries about things the license appeal process, but most clients do. I always use a dental analogy here: If I need a cap or a crown, I go into my dentist’s office a bit apprehensive; what if the tooth breaks? What if the cap or crown won’t stay put? My dentist, by contrast, knows there is nothing to worry about, and is probably thinking about dinner as he works on my tooth. In the context of a license appeal, I have to make sure my client isn’t worried about a problem that doesn’t exist. It is, after all, my job to discover something that could, in fact, be a problem (like not enough time off of probation) in a license appeal, and make sure we don’t just plow ahead and blunder into an avoidable loss. The client, and the client’s concerns, are the focus of a license restoration appeal, and putting the client first means careful and thorough preparation at all stages. I contacted you last year about my license issue and I wish I would have retained your services then. The attorney I went with strung this out and obfuscated the salient points (missing the most obvious one that resulted in my denial at the Administrative Review) in what I can only figure was his method of continuous billing…it seems my admission to using marijuana prior to the offense leaves them with some question about my drug use (I have been clean and sober since the offense and subsequent rehabilitation in 2006). This is a prime example of inadequate preparation. How is it that the lawyer could have failed to ask this client about marijuana use? I have a specific question on my substance abuse evaluation checklist (a form of my own creation that follows the actual evaluation form almost line-by-line and is meant to clarify my client’s information. A copy of this form sent with the client to be given to the evaluator) about just that. What this really means, predictably, is that this person’s case was lost because of a lack of preparation. I am fond of saying that cases are usually won in the preparation, the implication being (and the reality as demonstrated from the quoted email) that they are lost if that preparation isn’t good enough. Here’s the thing: You cannot, no matter how hard you try, prepare a case that is a loser to be a winner. Thus, the case for the young man that was filed too soon after his release from probation couldn’t have been “prepared” better. “Preparation,” in that situation, would have meant getting a handle on the situation and telling him that he needed to wait a bit. “Preparation” therefore equates to knowledge, and we all know that knowledge is power. Preparing, in this broader sense, means more than merely getting ready. I take my time in license appeals. I certainly don’t delay anyone’s case unnecessarily (I couldn’t do so, even if I tried, because the substance abuse evaluation and urine screen must be filed with the Secretary of State in Lansing within 90 days from the time when they are dated and signed), and my payment plan doesn’t get me paid until I do the work, so it’s not like I collect my fee and then disappear. However, I guarantee to win every case I take, so I am as interested in winning the first time as my client. I don’t get anywhere rushing something through and missing a detail that has me on the hook to come back and do “warranty work.” I am reminded of an old saying my mom used to try and get through to me: Haste makes waste. Anything worth doing is worth doing right. There are no shortcuts to properly handling, and that means adequately preparing a license restoration appeal. The key to winning a license restoration always has and always will reside in the preparation of the case.